When husband-and-wife team Randall Richards and Nicki Pace became the owners of The Painted Pony restaurant, they had one goal in mind: They wanted to prepare inspired and delicious meals using organic, locally-grown, sustainable ingredients. They not only were committed to this goal, they also were convinced that the people of southern Utah would support it. 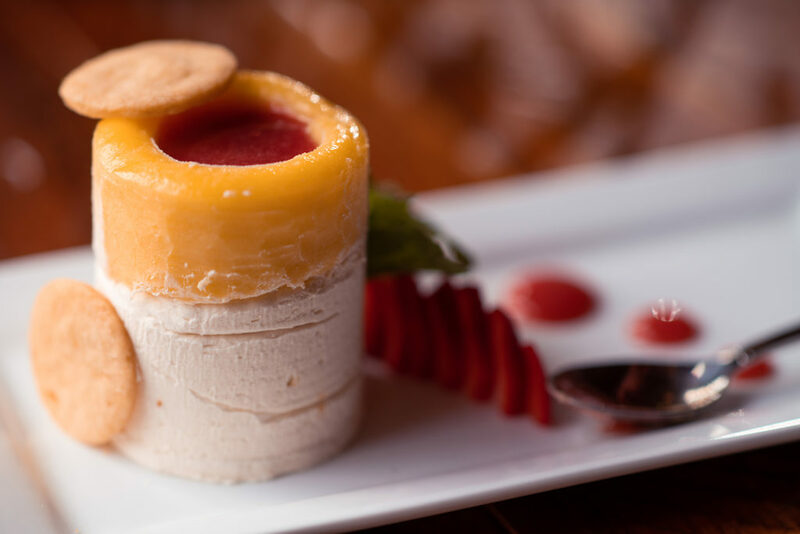 Fourteen years later, The Painted Pony has become, for many, a destination restaurant, receiving rave reviews from restaurant critics and first-time guests alike. 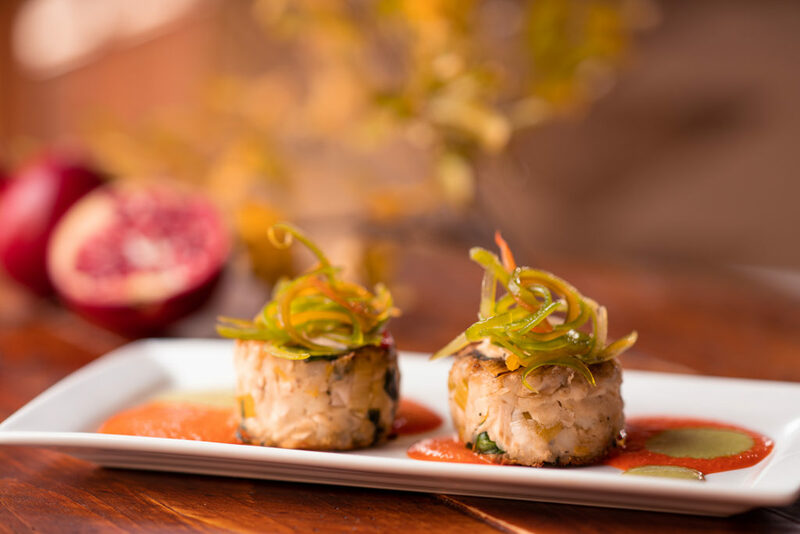 The restaurant provides an upscale dining experience that Salt Lake Magazine described as “a culinary island in St. George.” Its menu and atmosphere celebrate the mix of classic dining favorites and cooking creativity that come together in contemporary American dining. As executive chef, Randall has guided The Painted Pony for most of its lifespan. He left Springdale, Utah’s popular Bit and Spur restaurant in 2001 to run the kitchen, and in 2004, he and Nicki purchased the restaurant from her family. The two have crafted the menu to reflect their love of all things culinary, including their appreciation of organic, eco-friendly, high-quality foods. The restaurant features antibiotic- and hormone-free beef and free range chicken—a reflection of their respect for the environment and for their guests. The Painted Pony’s menu changes seasonally, driven by the couple’s ingredient-first philosophy. It incorporates ingredients from local growers and organic meat producers as well as produce from their own two-acre garden in Dammeron Valley—a garden Randall and Nicki cultivate with the restaurant in mind. Consider that each year, they grow 800 heirloom tomato plants, supplying The Painted Pony with the star ingredient in their signature Heirloom tomato salad—a favorite with their diners. The garden also produces many of their root vegetables, summer squashes, flowers, and herbs. 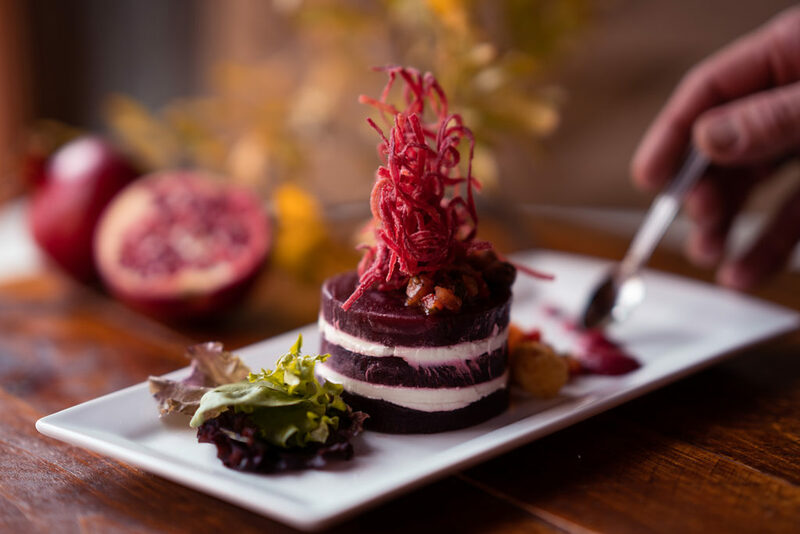 While guests at The Painted Pony enjoy its intimate atmosphere and regional artwork, it is the food that draws them back to the restaurant time and time again. 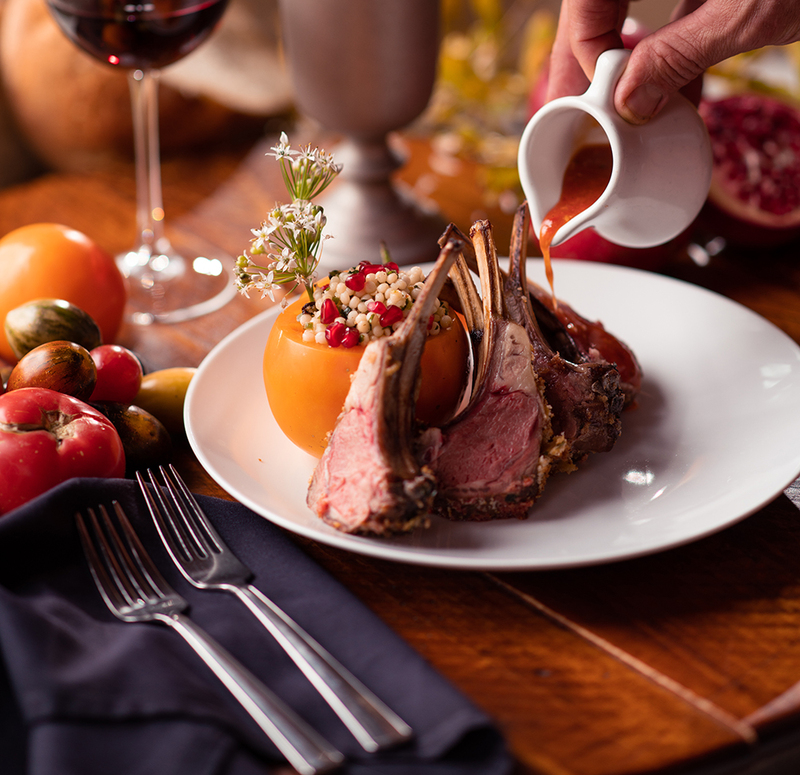 Almost everything on the menu is a time-proven classic: prosciutto-wrapped chicken, seared ahi tuna, New Zealand lamb, and rosemary-spiked ribeye—all prepared with intriguing flavors before being beautifully, even artfully, plated and presented to diners by the accommodating, professional, and friendly staff. Although dinner at The Painted Pony is an experience not to be forgotten, lunch at the restaurant offers a delicious range of menu items prepared with the same extravagance and robust flavors, with prices that range from $9 to $11. Sandwiches are served with house fries or a salad, and gluten-free bread is available. Food is not the restaurant’s only forté. The Painted Pony boasts an extensive wine list, which includes its own wine label. This wine, a pinot noir varietal, is produced with the help of Napa Valley winemaker Kent Fortner of Road 31 wines. Fortner grows the grapes along with his own in the Carneros region of Napa Valley, and it is his wine-making skills that create The Pony’s pinot noir. Once or twice a year, John Delaney, The Painted Pony’s sommelier (certified wine expert or wine steward), hosts a wine dinner at the restaurant, which is attended by local wine enthusiasts and foodies who appreciate the wine and food pairings. Chef Richards works alongside Delaney to select a menu that compliments the wine, and both enjoy collaborating together to create a spectacular dining experience for their guests. Having stayed true to its goal of providing an exceptional dining experience with fresh, locally-grown ingredients, is it any wonder that The Painted Pony’s numerous awards line its walls, reflecting this accomplishment: Salt Lake Magazine’s Reader’s Choice Award; Distinguished Restaurants of North America’s (DiRoNa) Award of Excellence; Wine Spectator magazine’s Award of Excellence; Zagat Survey’s excellent rating; and many more. Both Randall and Nicki enjoy staying engaged with the southern Utah community they have grown to cherish. In 2008, Nicki organized a weekly farmers market to help local growers connect with the broader community. The market—which runs each year from May to October—quickly took root, drawing growers from more than fifty miles away. Although Nicki recently turned over management of the weekly event, she and Randall continue to be involved in other aspects of community service and are strong supporters of area non-profit organizations.